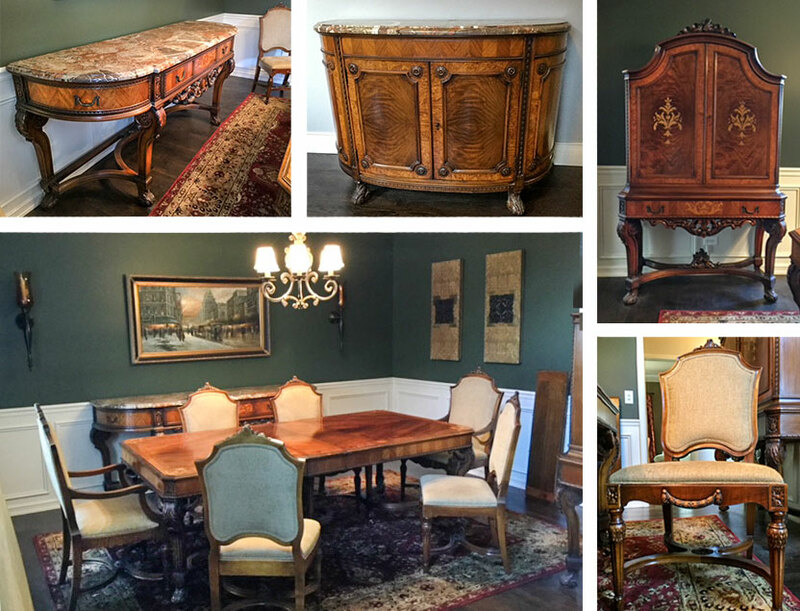 ITALIAN RENAISSANCE REVIVAL DINING SUITE: 10 piece dining suite in the Italian Renaissance Revival style, to include 1) Mahogany veneer table, burl accent trim, inlaid foliated medallions at canted corners, carved and shaped legs and stretchers, 30 1/2'' h. x 68'' x 44''. 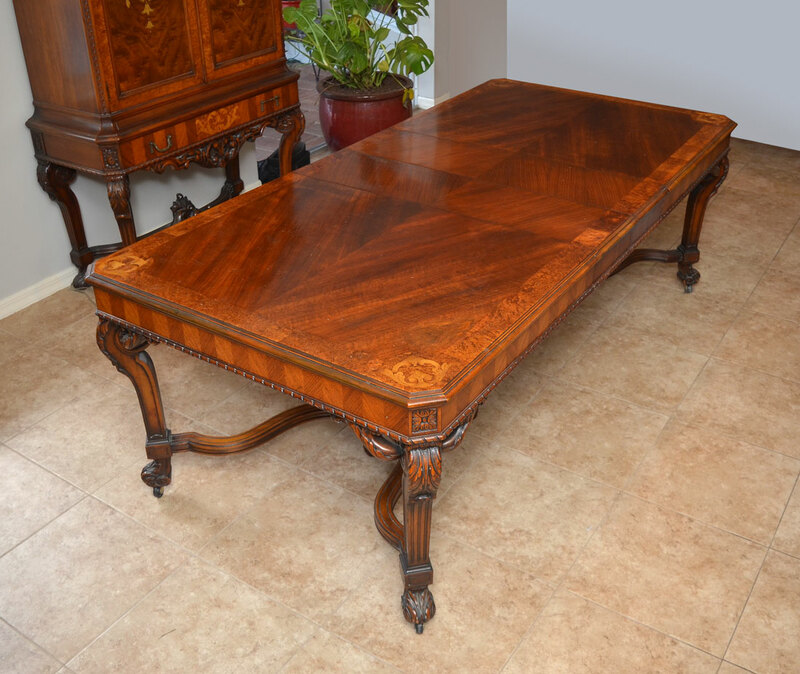 Sold with 5 leaves in 2 different styles, 11'' each. 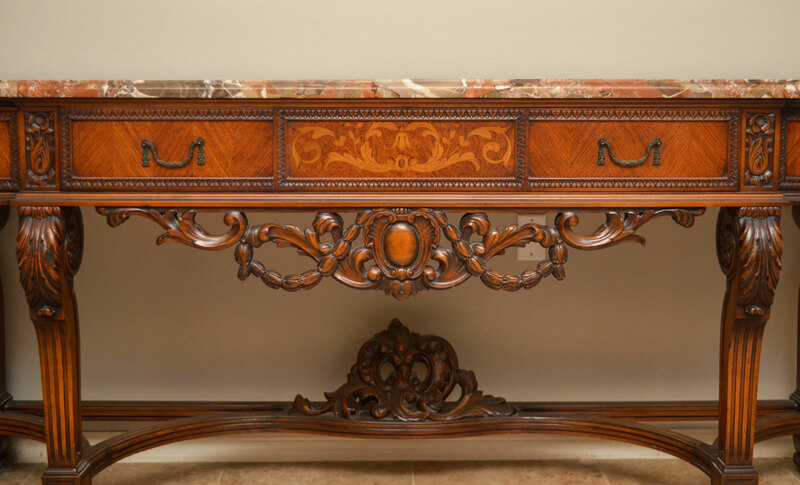 2) Marble top sideboard, center drawer with inlay, drawer at either corner, open carved foliate scroll skirt, 36 3/4'' h. x 84 1/2'' x 25 1/4''. 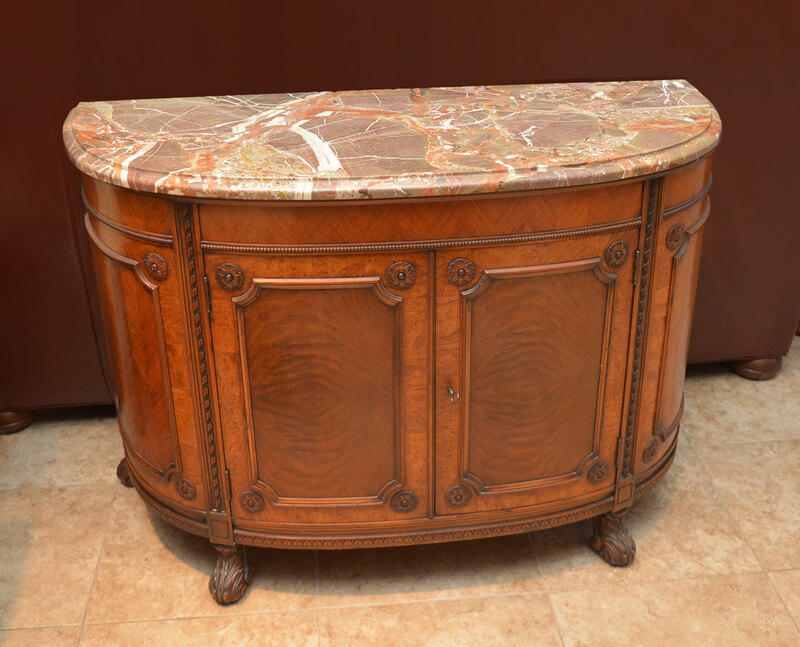 3) Demi lune marble top server with 2 doors, 3 internal drawers, 34 1/2'' h. x 49 3/4'' x 21 3/4''. 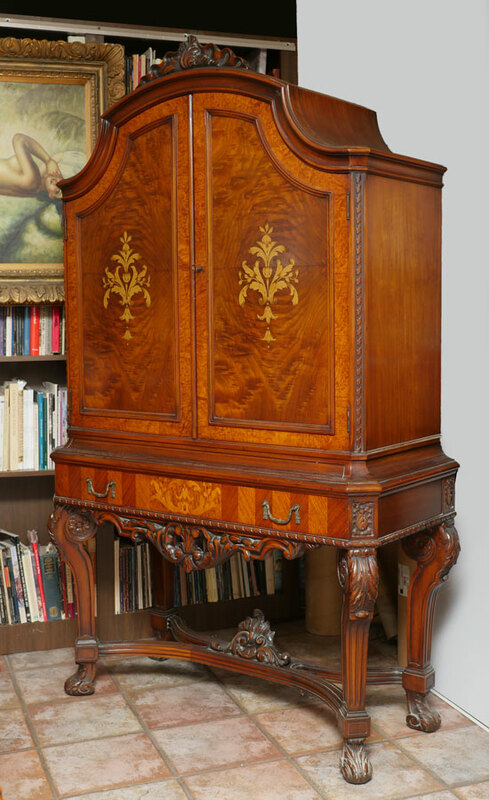 4) China cabinet, carved crest over 2 doors with floral inlay, 2 felt lined shelves. 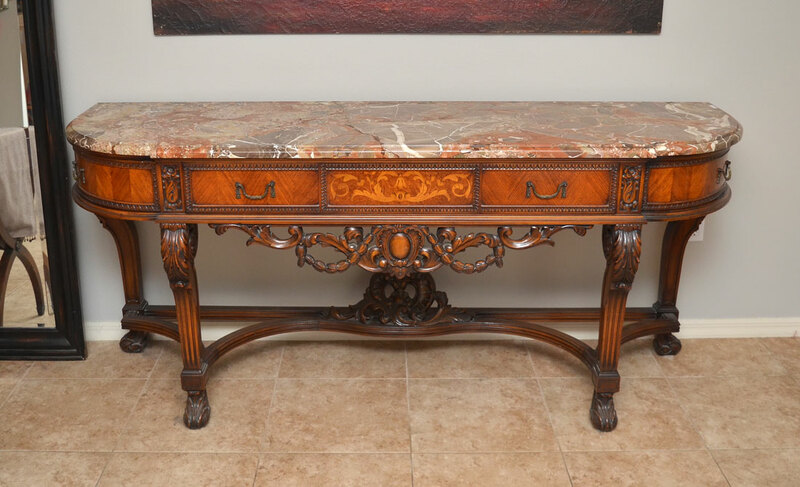 Single drawer over foliate scroll carved skirt, carved and shaped legs, 75'' h. x 45'' x 19 3/4''. 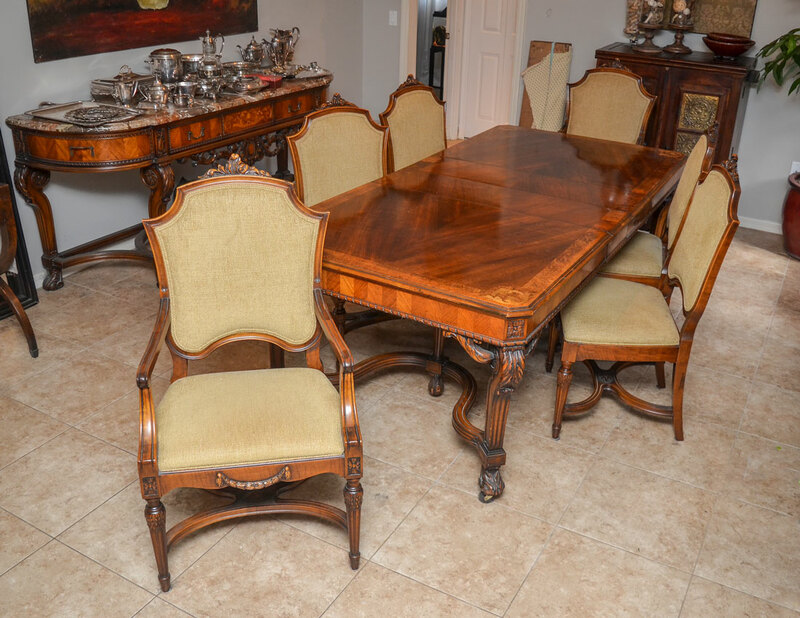 5-10) 6 carved dining chairs, the 2 arm chairs measures 45'' h. x 24'' x 23''. 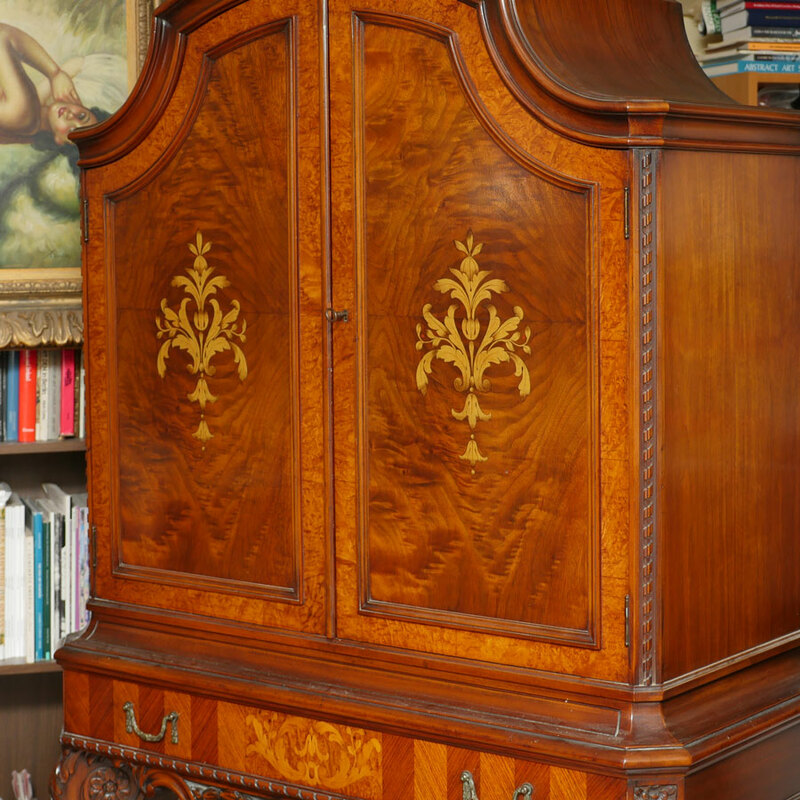 CONDITION: Marble top on sideboard with repairs. 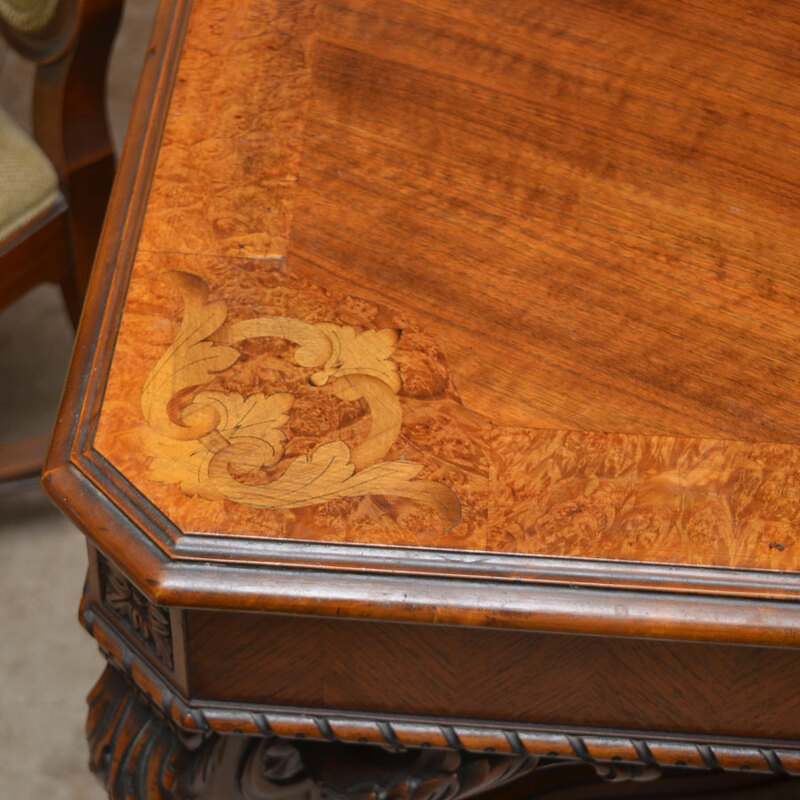 The occasional small missing piece of veneer, other wear consistent with age and use.